Temporomandibular joint dysfunction (TMJ) — problems related to the chewing muscles and joints. One of the most common causes of poor posture is sitting incorrectly. Allowing your lower back to slump down and curve places additional stress on the vertebrae, which in turn can lead to poor posture. The right way to sit at a desk or table is to plant your feet about shoulder-width apart, keep your head and neck faced straight ahead, and provide support for your lumbar region. Depending on the type of chair in which you are sitting, you may need to use a special cushion or insert for lumbar support. Without this support, your lower back will slump down and throw off your body’s natural posture. 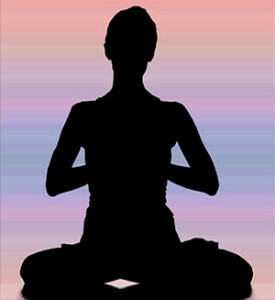 Yoga is the spiritual art of ascetic discipline, controlled breathing, meditation, and adoption of bodily postures. Practicing it regularly is almost certain to improve your posture. Yoga incorporates a wide variety of bodily positions into regular exercises, strengthening and toning muscles that would otherwise go unnoticed in traditional workouts. How exactly does yoga work to improve the body’s posture? It’s able to do this in a couple different ways, one of which is by repetition. If you sit in and watch a yoga class, you’ll notice the instructor and participants frequently stretch their body into various positions. Constantly performing these same positions over and over gradually improves the body’s posture. Of course, yoga also strengthens muscles which support the body’s natural posture. A third technique for improving posture is to perform exercises which strengthen the core abdominal muscles. A stronger core means more spinal support; thus, promoting a natural, proper posture. There are dozens of different exercises which focus on the core, the easiest of which are leg raises. Simply lay down on the floor, raise both of your legs parallel about 2-3 feet, hold the position for 10 seconds and lower. Rinse and repeat until you are no longer able to perform any more reps. Other core-building exercises include bicycle crunches, planks, and situps.